Editorial Note: Rama Poola has been selected as the moderator guiding the “Search Roundtable” at the Travel Disruption Summit, a one-day symposium bringing together thought leaders in the travel industry to New York City on May 23rd. During the event, participants will discuss the opportunities for innovation at each phase of a traveler’s experience, including when they are identifying and selecting travel options. The airline industry has historically been built on confusing consumer pricing. As a child, I can remember my father calling travel agents and looking at newspaper ads to suss out who had the best prices on travel and when to buy. Not much has changed since then — it’s just gone digital. We still visit multiple sites to determine who has the best deal, and then have to question the timing of booking. The internet has brought consumers more options and better access, but the decision-making process hasn’t gotten much easier. Passengers often are unsure whether the price they paid was the best. Trips are still planned around the best prices for travel, rather than the actual best time to travel. I've been in this position many times - haven't you? However, even with the frustrations of air travel, more and more people are flying! Humans crave new experiences, and we now live in a time when many have more flexibility to pursue them. We are in the middle of a redefining era for travel. Services like AirBnb, HotelTonight, Lyft, and soon HyperLoop are giving people more access to travel and mobility than ever before. I believe that as this trend continues, we will see a continued desire for people to live, work, and play in many different spaces around the globe — not just one. We’ll see the work force start to change as employees demand jobs with more flexible locations. We will continue to see the global economy shift as borders disappear. More people will be meeting their business partners, clients, and loved ones face-to-face as opposed to video chat. With greater access to experiences, we’ll see a more accepting, compassionate, and empathetic world. My hope is that the future of travel represents a greater emphasis on meaningful connections between people. Our mission at SkyHi is to make spontaneous travel a way of life. To inspire the words ‘where to?’. To reimagine the way we fly in favor of wanderers, adventurers, and anyone that believes that life is best when spent exploring. 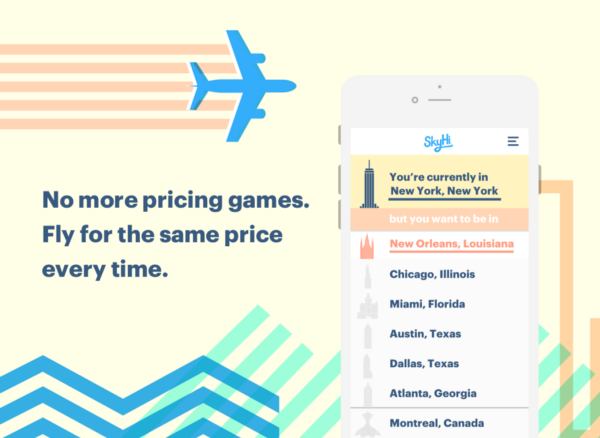 SkyHi is a seamless, on-demand service enabling its users to claim seats on last-minute flights for a monthly subscription fee, disrupting the current model of individual airline ticket pricing and booking. By having flat rate pricing, SkyHi members know exactly how much travel will cost them and need only think about when and where they would like to go. With a simple interface and one click booking, SkyHi is the perfect tool for a growing demographic of spontaneous travelers. The day we launched SkyHi, I booked a trip to Chicago, IL. I’d lived in New York for 15 years and only visited Chicago once before. Even though flights on that route are generally inexpensive, the friction of the travel booking process had still successfully kept me from going. After reading a blog about the top 40 sandwiches in Chicago, I opened up SkyHi, and within a minute had a ticket. I can assure you that I had several of those top 40 sandwiches. It’s experiences like those that we want others to have. We want people to decide whether they’re going to buy a t-shirt or go dancing in Miami. Or choose between a nice dinner or jazz in New Orleans. We are charting the path to remove variable pricing, create simplicity, and reduce anxiety when it comes to air travel. Ultimately, that will lead to more experiences for everyone. It’s no easy task, but it is well worth it. 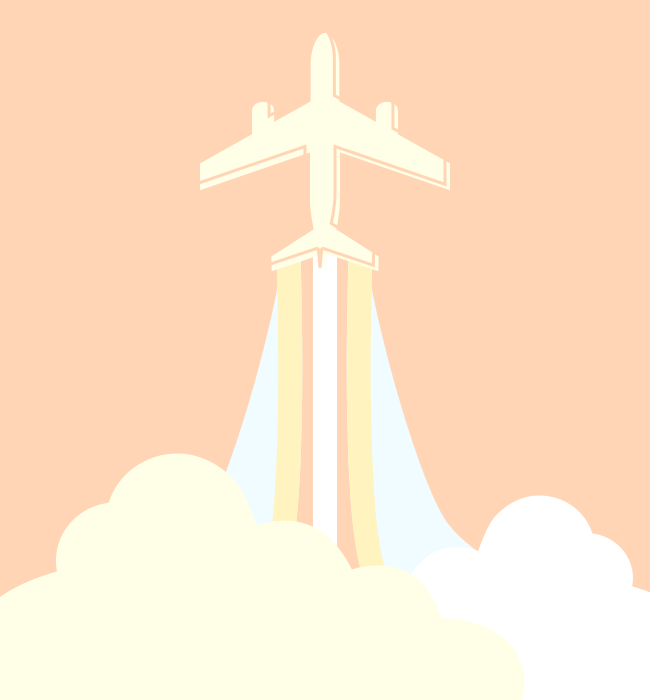 Sign up for SkyHito join the flat rate flying club to wherever’s next. to hear more from Rama Poola and other figures currently impacting how travel is experienced.